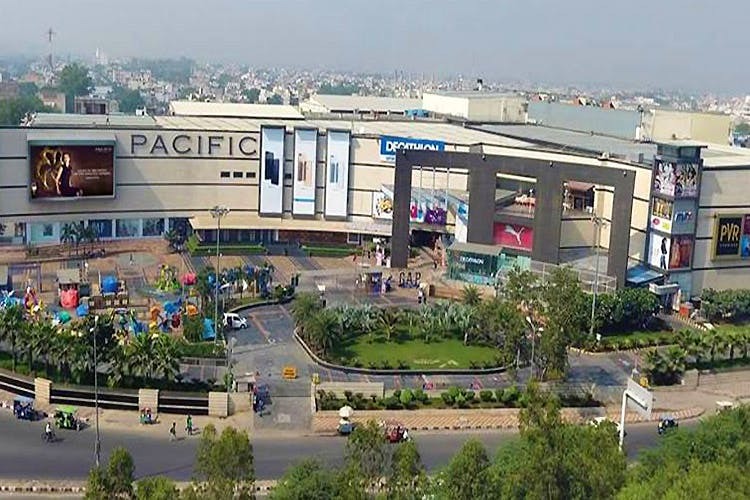 West Delhi folks, Pacific Mall is your answer to all the cool malls that South Delhi, Gurgaon and Noida people keep gloating about. From amazing brands (for some killer retail therapy) to impressive eateries and even a 4DX movie theatre, here's why we'd recommend checking out Pacific. Our visit here always ends with living up to the phrase ‘shop till you drop’. Some of our favourite stores are Call It Spring (for Aldo-style shoes and accessories but at a lower price range), Store 99 (to score quirky stationary and homeware), Zara, Charles & Keith, Forest Essentials, and Spar which is a hypermarket that has everything including groceries, toys, utensils and even basic t-shirts and jeans. Along with an impressive line-up of stores, their entertainment options are awesome as well. You can hit up the PVR 4DX for a beyond-the-ordinary cinematic experience (you can book tickets for that here). Or, chill with your gang at the BluO Express which has an eight-lane bowling alley and plenty of arcade games. Young parents, your little ones will have a blast at Hangout which is a jungle-themed play area. Hungry? While the mall has ample options of eateries as well as a food court on the second floor, we can’t get enough of Jamie’s Pizzeria (their pizzas are crusty to perfection), Hinglish (just try their Keema Do Piazza Nazza), Selfie Swag Cafe (for their coffees with drinkable selfies), Chili’s, Punjab Grill and Pop Chai (don’t miss their fruit-based bubble teas, it’s so much fun bursting the bubbles in your mouth). This huge mall is always bustling and is a good place to shop and hang out at (especially if you’re feeling too lazy to make more elaborate plans). If you’re visiting by the metro, the closest station is Subhash Nagar on the blue line.